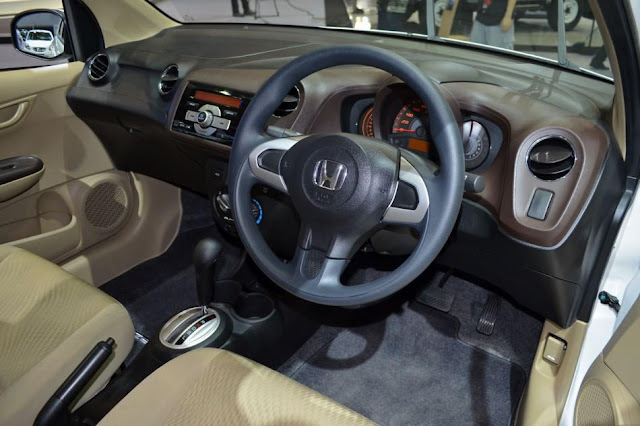 Honda Cars India Limited confirmed that the new baby sedan from Honda - also the first one to wear a Diesel heart will be launched in next financial year, which means in April 2013. Though the Indian variant of Amaze is similar to the Thailand variant of Amaze but the only difference being car's front grille which wears lots of chrome, while the bumper is fully painted in the body shade. The outside mirrors wear turn indicators, but this being the top end variant, we will have to watch out for the features in other variants. The ground clearance of car also stands higher than the Thai variant. It seems that Honda India has already dispatched few units to its dealers for training purposes and may be a promotional event somewhere close to end of this month and launch is set to happen on 18th April 2013 . The Indian trim will be launched in both petrol and diesel variant with petrol version to be same as current Brio hatch and diesel with new all aluminium engine having 1.5L and expected 90 bhp of power. The Amaze will be sold in six body colors – Black, Silver, White, Azure Grey and Blue with a fuel efficiency of 23 Kmpl. 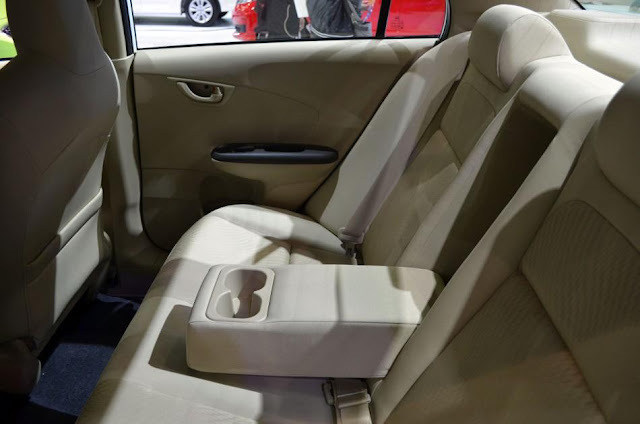 As far as features are concerned, Amaze gets manual air-conditioning, dual airbags, ABS and EBD, rear demister, side mirrors with integrated indicator lamps, arm-rest with integrated cup holders at the rear seat. 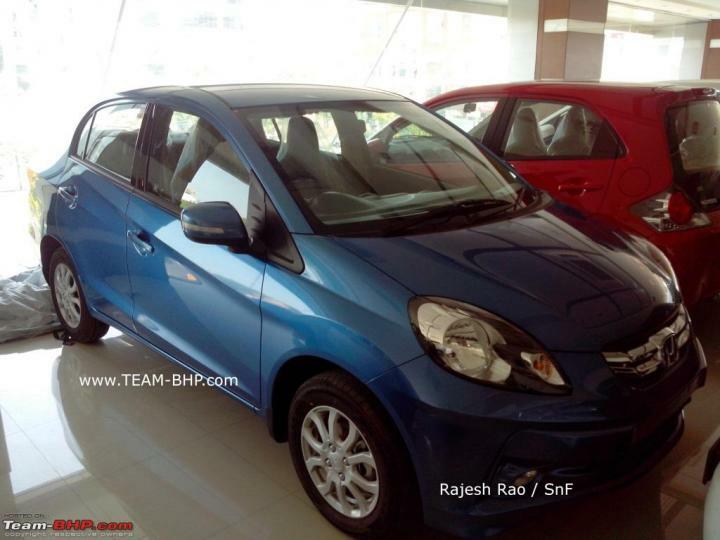 The boot space is 400 liters and the dashboard is a direct lift out of the Brio.